Back Packs Vol. 3 is 50 professionally designed background images that will enhance your presentations and engage your students! With Back Packs Vol. 3, it only takes seconds to create presentations that will leave your students with lasting impressions. Check out more Back Packs backgrounds with:Back Packs Vol. 1 www. 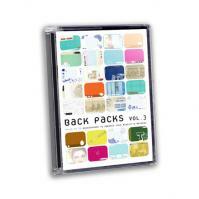 simplyyouthministry.com/resources-media-back-packs-vol--1.htmlBack Packs Vol. 2 www.